There are 5 reviews of Honey. Nice for everyday use, I find this very soft and not as sweet as I imagined it would be. Instead it wears on me as a soft and warm, early Autumn breeze. Vanilla with a touch of citrus. A subtle mix of pear, fruit punch, honeysuckle, orange blossom, and honey. The latter being not too overpowering. A gentle scent for Spring or Summer. I love this fragrance, it's very versatile, I layer it with many other fragrances to give them a bit of sweetness. So far I've paired it with Nirvana Bourbon, Tea for Two, Commodity Tea and A-Men Pure Havane. Will always keep a bottle in my collection. The scent is not very true to its name as honey is not very prominent.this is a sweet fruity carefree fragrance.sweet but cloying.young men are attracted to it like bess to honey but it is not my favorite as honey is synthetic.a perfect honey scent should be warm,golden, with a soft,almost savory sweetness that takes you straight into the outdoors with the sun shining.Funny,Playful,Interesting,Fruity,Lush, Sultry,Youngish,Wearable with a Gorgeous bottle. The fruity notes of the fragrance are vibrant and succulent with pear,punch and mandarin for a generic first impression.they are followed by heart notes of honeysuckle and orange blossom for a sensuous effect. it rises alongside notes of honey and vanilla filling the day with joy.it is ideal for casual days whether going spending an afternoon out shopping with your friends.totally if you are looking for a realistic honey scent try pure honey by kim karadashian.honey you are not my honey! This is a run of the mill fruity floral with a musky dry down. 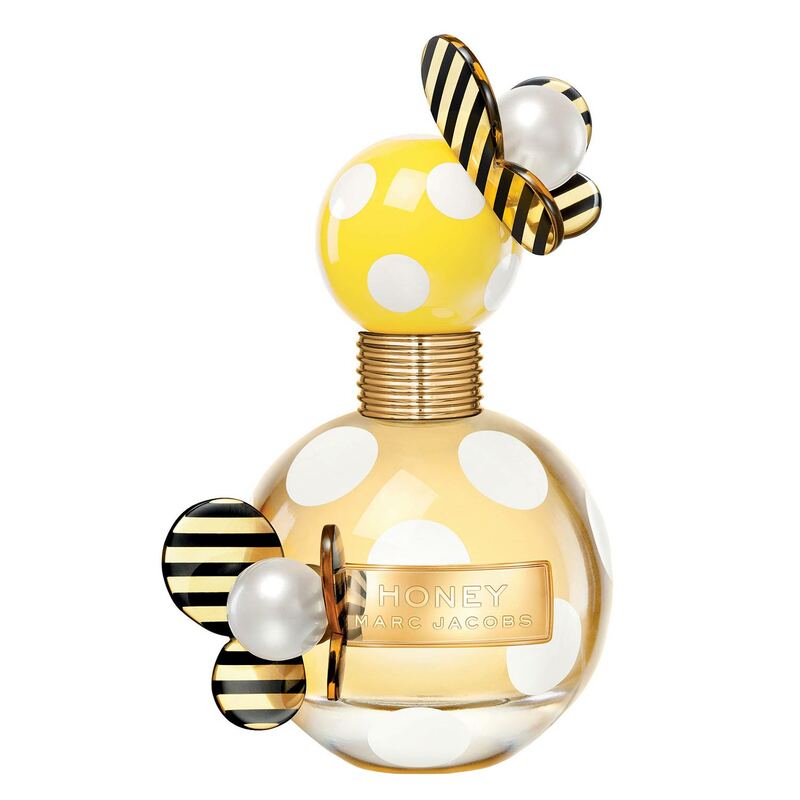 It reminds me of a honeyed, less sharp version of DKNY Be Delicious, which was always a guilty pleasure. Totally wearable and a very pretty scent for work. It doesn't have much sillage or longevity, alas. Update: It will last all day if I apply 3-5 sprays and/or apply some to chest or clothing. I also feel this scent bears a small relationship to Mitsouko (like Mitsouko's airheaded great-granddaughter) because of the dominant peach note and woods, combined with the bitter citrus top note. There are no member images of Honey yet. Why not be the first?